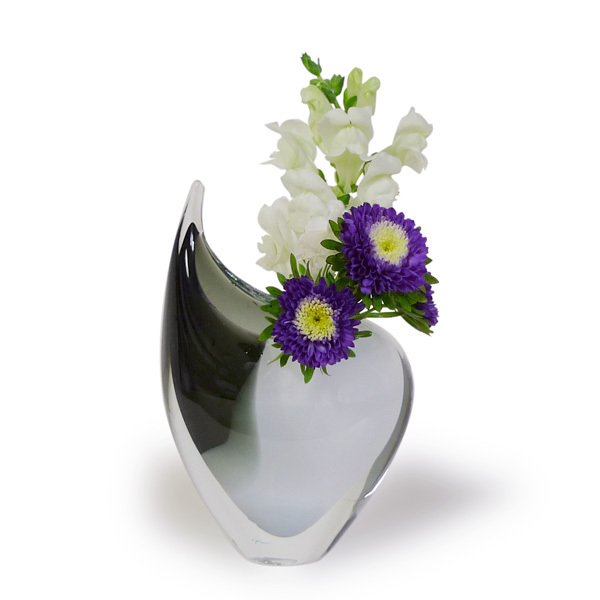 This glass vase has a bold, asymmetric shape. The softly rounded body ends with an upward sweep. This fascinating shape allows it to grab attention on its own. Add flowers, and it becomes even more striking! The coloring is an equally unusual black and white. This monochramatic coloring sets off the colors of any flower arrangements, even more... 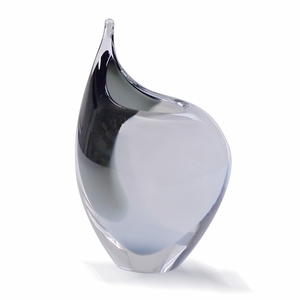 This glass vase is 6.5" high (at its peak) and 4.5" wide.